Facelift - liquid facelift - Watch a video of a liquid facelift. Facelift – Liquid Facelift demonstration, Cheek fillers video. 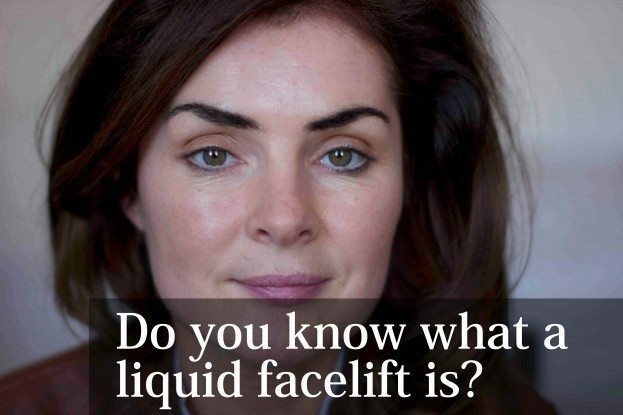 Facelift – Liquid facelift dublin – Cheek filler demo. Why should you consider having a liquid facelift? Paula came for a treatment recently and kindly allowed us to film the procedure. She had 2mls of Voluma (my favourite cheek filler). She also had anti wrinkle injections in 4 areas – eyes, under the eyes, brow lift, forehead and glabella (frown lines). A full treatment like this gives subtle overall rejuvenation. It allows the treatment to be done gently in each area ensuring that the treatment is natural. Facelift Dublin – Why would you choose a liquid facelift instead? There are many reasons why most of us beyond a certain vintage would like to look a little younger and fresher. It’s nice to look our best. For years the best way to look your best above the age of 40 or 50 was a facelift. The natural tendency of the face beyond the age of thirty is to descend. Volume in the cheeks is lost from the double edged sword of time. In the daytime, gravity pulls the cheeks downwards putting tension on the collagen and hyaluronic acid in the skin. The stresses and strains of daily life, smoking sunshine and just plain old aging cause these elastic fibres to lose their elasticity and let the cheeks drop. At nighttime, we sleep on the side of our faces and for 1/3 of our lives squash this fatty part of the cheeks. The end result of both of these processes is a cheek that has fallen, which may result in bags under the eyes and jowels at the lower part of the jaw. Liquid facelift – As good as a surgical facelift? A liquid facelift replaces some of the lost volume in the cheeks. Recently Maurizio di Maio, world famous brazillian plastic surgeon, has pioneered the eight point lift, a variation on cheek injection technique. The liquid facelift focuses on the 8 points that tend to lose volume with the most dramatic overall impact on the face. By replacing the volume in these points the face is lifted and the signs of aging are reversed. One major difference between the surgical facelift and the liquid facelift is the permanence of the procedure. A facelift can last 10 years. A liquid facelift will last 1.5 years. But this doesn’t tell the full story. A liquid facelift can be topped up, maintained and tweaked. As the face can age differently in different people, there is an advantage that the liquid facelift can adapt with 1ml added here and there as needed to keep results optimal. The fact that there is no downtime means that this is much more possible with a liquid facelift. The facelift treatment in Dublin performed in the video above costs €800 for 2ml filler. Typically someone might need 1-4mls of filler to get a good result. There are discounts for more than 1ml. I have just this week been back with Paul and Siobhan in Dublin for my third time and have to say, they are brilliant and his work is fantastic love it. Watched the video on Paula. Paula is very attractive lady anyway and the treatment she received just made her less tired looking and fresher. Great result. great job with paula she looks great anyway but even better after after your magic ..
Amazing results. I would love to have this treatment.